For hundreds of years, people across the world have reached for cannabis to treat pain. In 2018, this hasn’t changed; in fact, now more than ever before do we have such a vast range of cannabis products to choose from! When it comes to chronic back pain, which affects one half of all Americans, knowing which cannabis product could be the best fit can be a tricky endeavor. When faced with such a plethora of choices (and conflicting anecdotal reviews at the click of a button), the search can certainly be overwhelming! Probably two of the most popular options for those suffering from chronic back pain is CBD oil and topicals, both of which are high in CBD, and neither of which will leave you feeling high. So which is best? 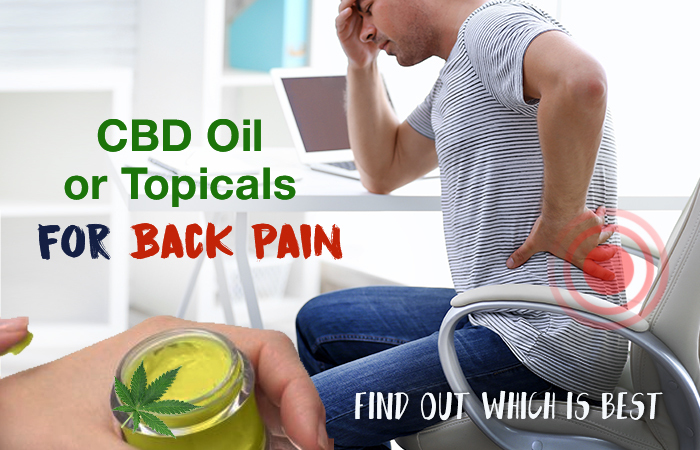 In this article, we take a look at CBD oils vs. CBD topicals as the best treatment for back pain – check it out below! Hemp Oil vs. CBD Oil: What&apos;s the Difference? THC Oil vs CBD Oil? Which one is better? THC Oil vs CBD Oil - Which One Is Better For You?